Eugene Seghers was one of hundreds of thousands of men and women who died fighting Nazi tyranny in Europe during World War 2. 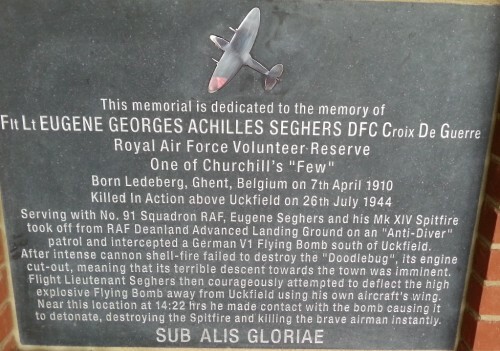 Belgian pilot Seghers was killed 70 years ago today (July 26) as a V1 flying bomb blew up as he steered it away from crashing on Uckfield. Eugene Seghers’ bravery was largely forgotten as the war had nearly another year to run and afterwards as Europe rebuilt. 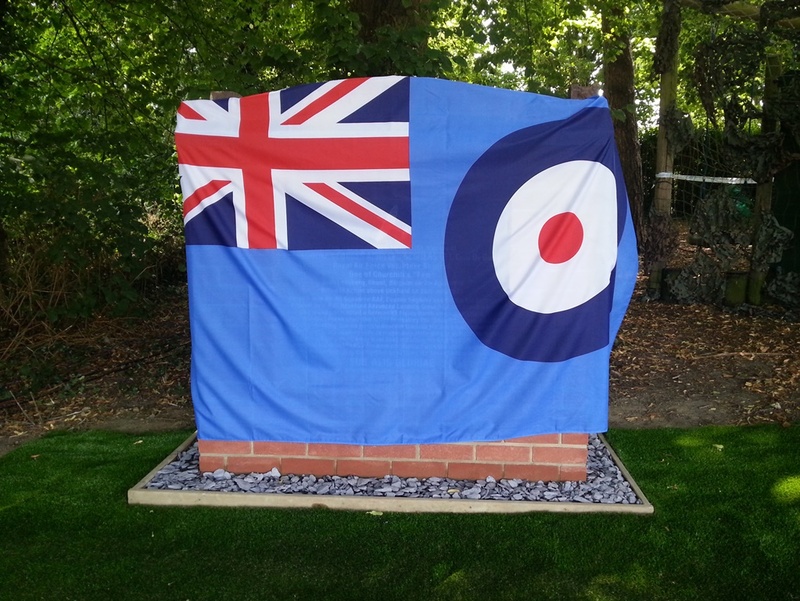 Today, Uckfield put that wrong right as a memorial to his courage and bravery was unveiled in the garden of the Highlands Inn, Ridgewood, close to where much of the wreckage of the Spitfire and V1 came down. 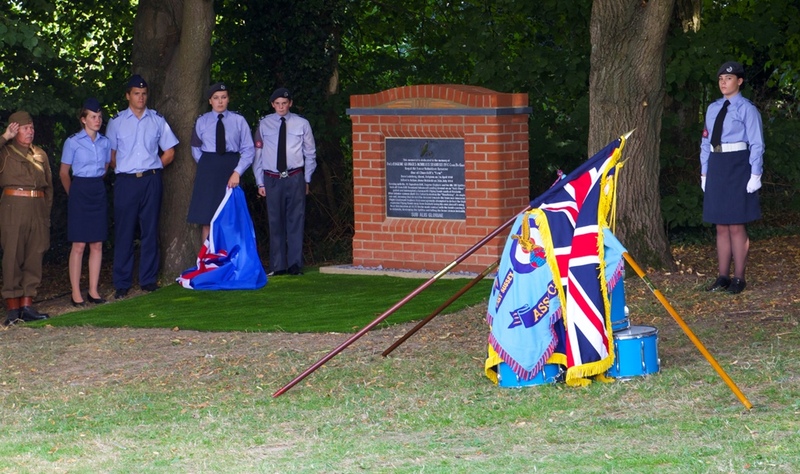 There was a two minutes’ silence at 2.22pm – the moment the police reported the impact as having taken place on July 26, 1944. The silence was broken at 2.24pm when the Belgian Red Devils display team roared overhead as part of the Reveille ceremony. They did a number of passes of the memorial before departing to the west. The Lord Lieutenant of East Sussex, Peter Field, represented The Queen at the ceremony. He said Eugene Seghers gave his life to save Uckfield. 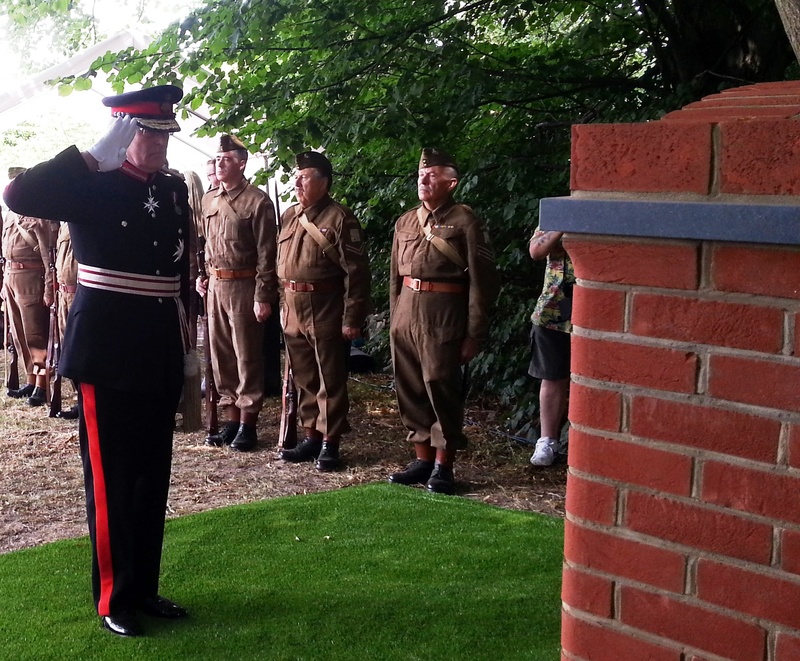 “We shall never forget,” the Lord Lieutenant said. 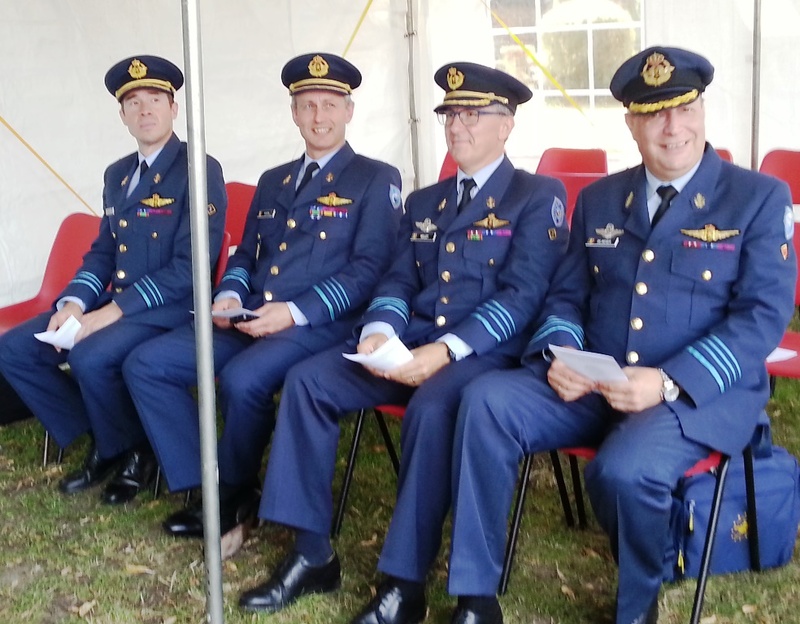 Four senior officers of the Belgian Air Component (airforce) attended. 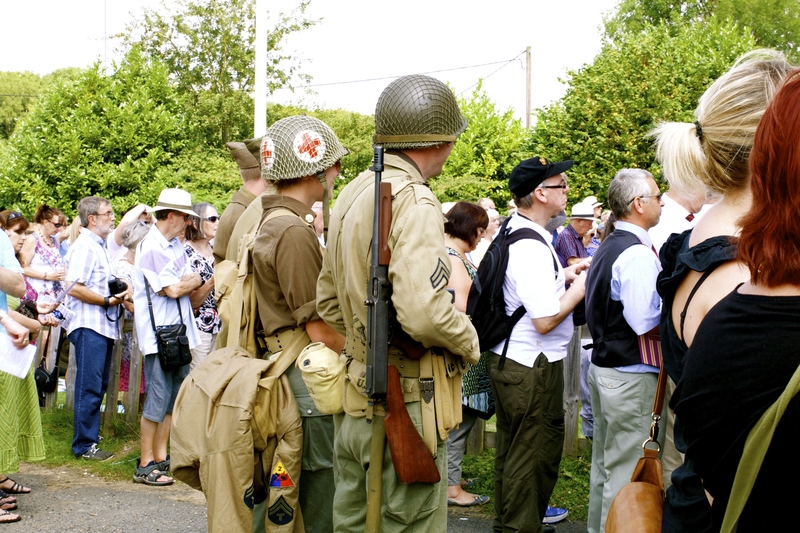 They were joined by a group of Royal Belgian Air Cadets. 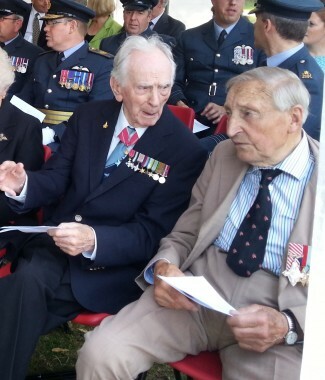 A high-ranking RAF party was led by Air Vice-Marshal David Stubbs, who is Air Secretary. He paid tribute to Duncan Bennett who led the campaign to establish the memorial. Also present was the Station Commander of RAF Odiham, Group Captain Richard Maddison, and Sqn Ldr Ian Fortune from RAF Odiham who safely landed the Chinook helicopter he was flying after being wounded as the aircraft came under fire in Afghanistan. 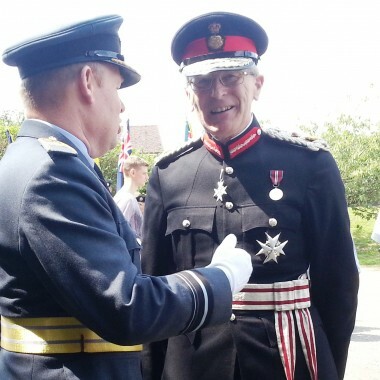 Group Captain Maddison praised on social media the air cadet detachments from Uckfield and Crowborough. 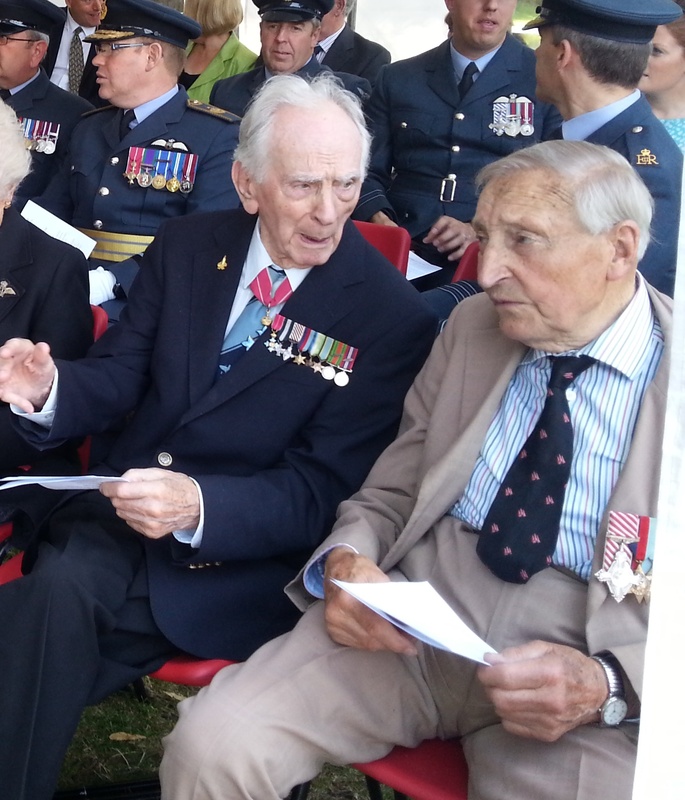 Many Standards were present including those of the Royal British Legion and the Royal Air Forces Association. 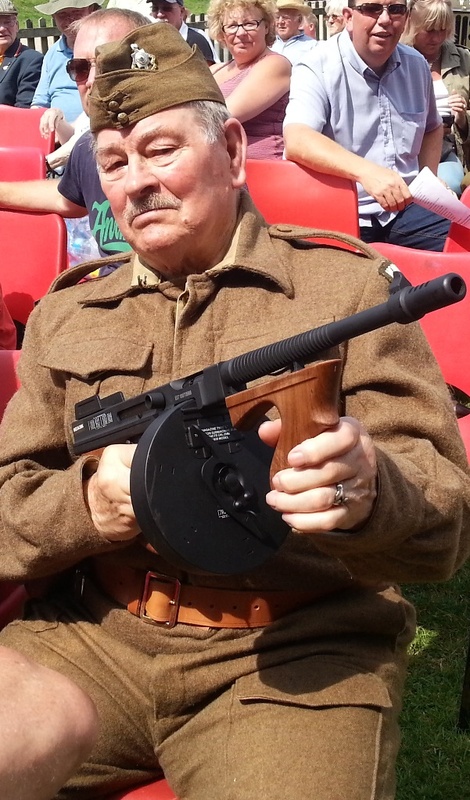 A Home Guard re-enactment group formed a guard of honour and members of another re-enactment group were there as a World War 2 RAF unit. 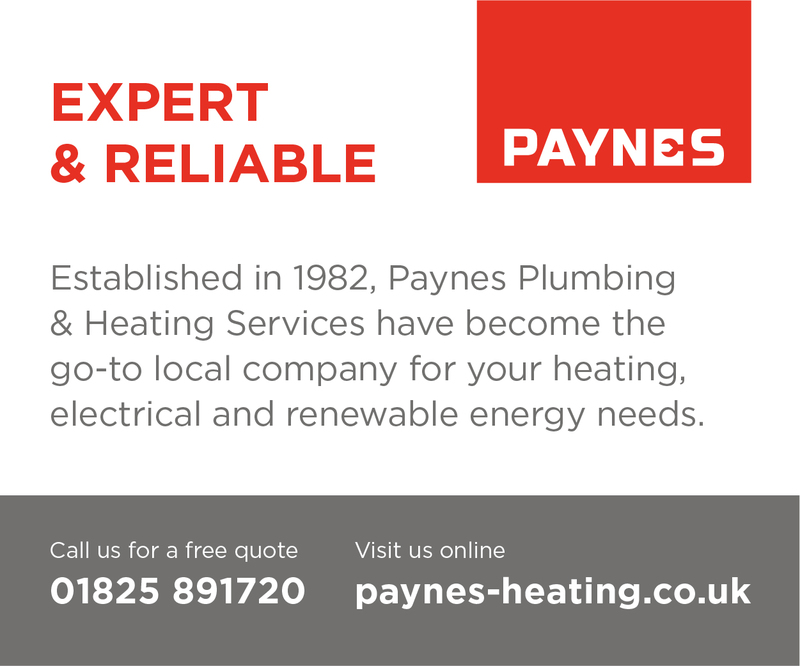 Cllr Chris Dowling,former chairman of the county council, represented the present chairman, Cllr Colin Belsey. Ridgewood is within Cllr Dowling’s Division. The chairman of Wealden District Council, Cllr Brian Redman, was present, along with Uckfield Town Mayor, Cllr Ian Smith. 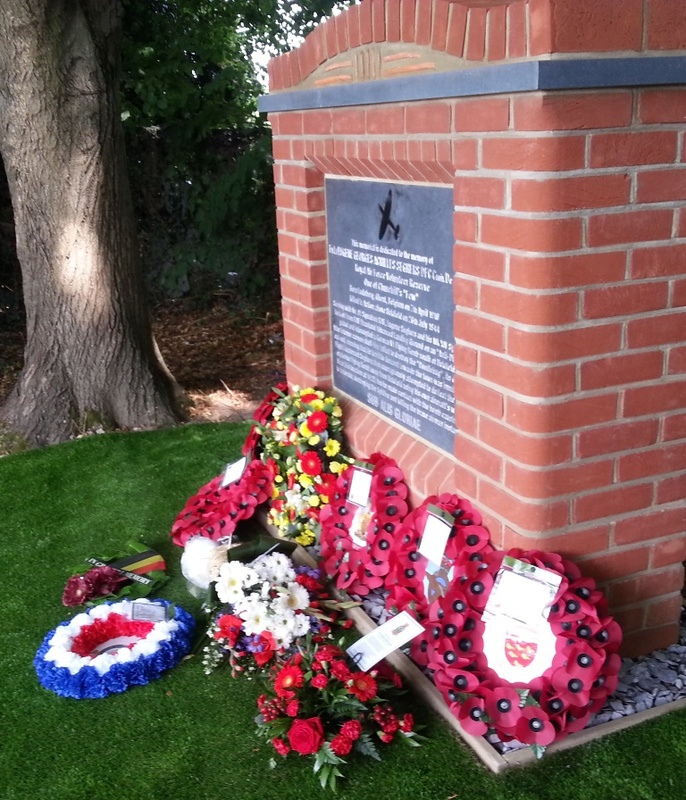 Cllr Smith said he was immensely proud of the way Uckfield people had pulled together to provide a fitting memorial. Belgian national, Stijn Lambrecht, who lives in Uckfield, said it was very proud day in his life. 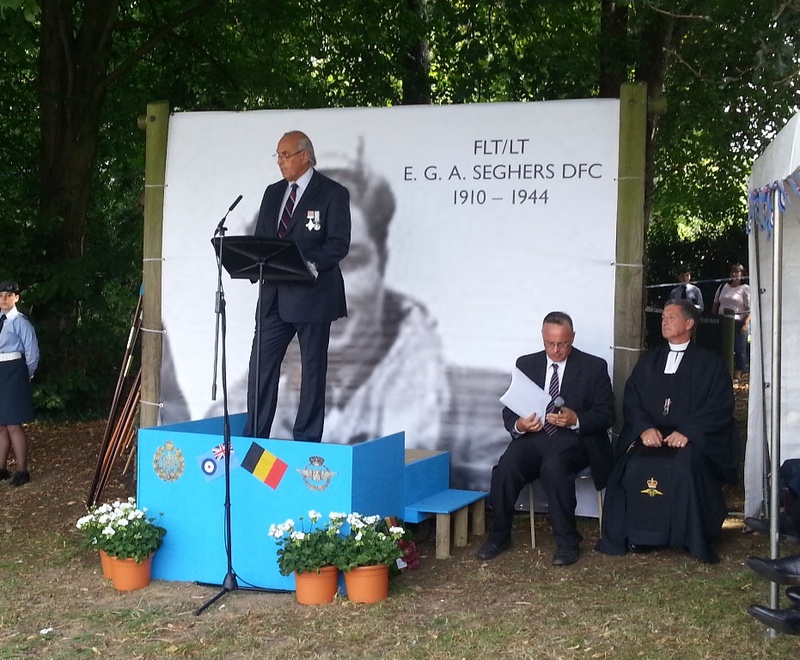 He brought a message from the Belgian Ambassador to the UK thanking Mr Bennett for establishing the memorial to Eugene Seghers. The ceremony started with the playing of the National Anthem of Belgium and then the UK combined with the raising of national flags. 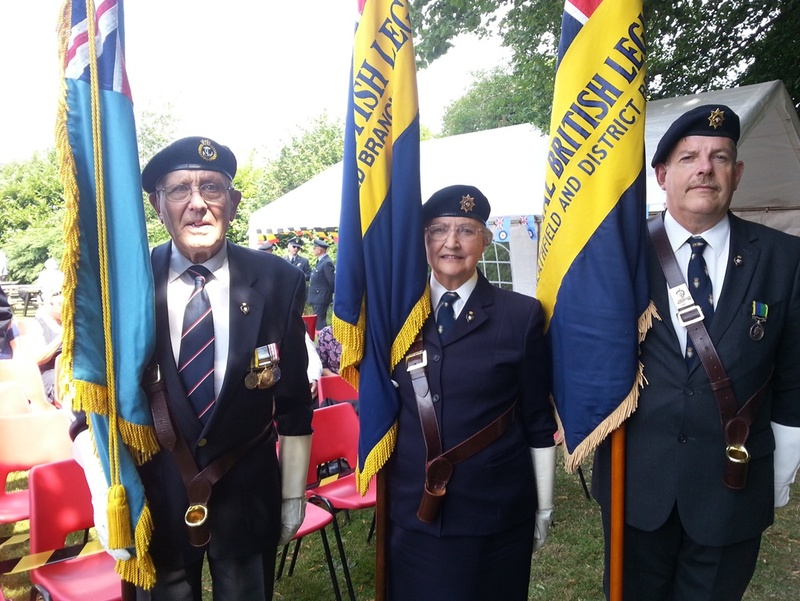 Standards arrived, accompanied by Uckfield Concert Brass playing the Battle of Britain March. A hymn, All People Who on Earth Do Dwell, was followed by words from the Rev Sqn Ldr Philip Corrigan, the padre from RAF Northolt, who led the service. 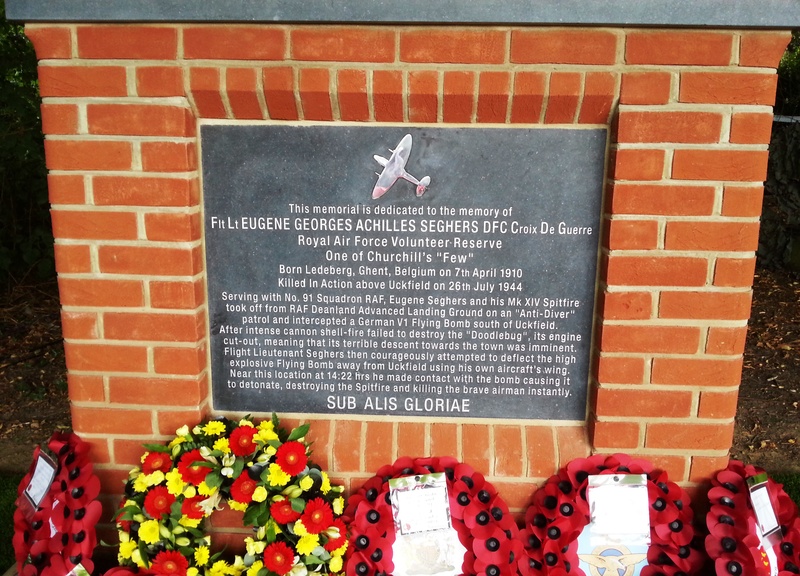 Framfield Road resident Duncan Bennett, who has galvanised the community and spearheaded the campaign for a memorial, gave a biography of Eugene Seghers, who also fought in the Battle of Britain. During the unveiling of the memorial, the concert brass played Long Day Closes by H. Fothergill Chorley and Arthur Sullivan. The memorial was dedicated before the second hymn, O God Our Help in Ages Past. 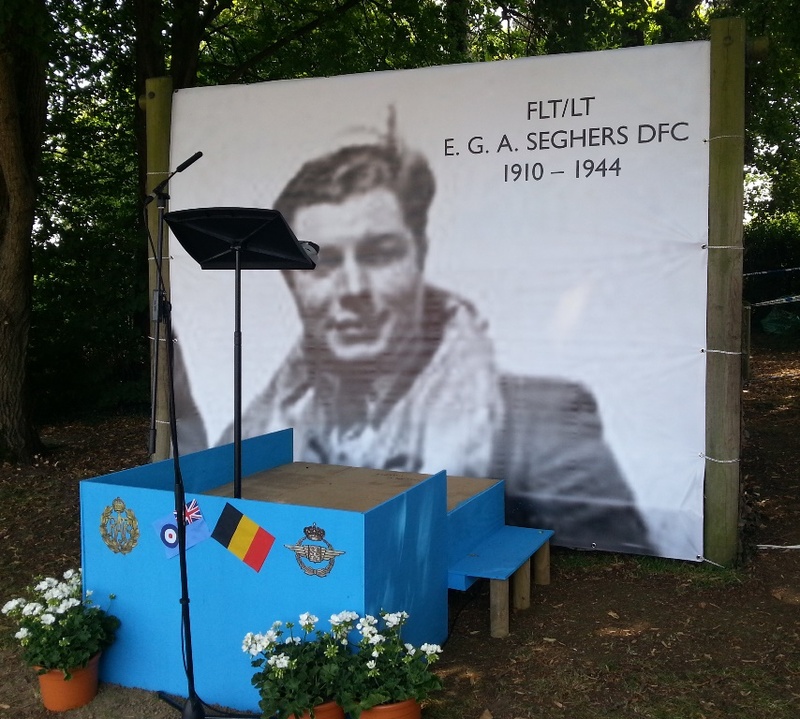 Sqn Ldr Bob Tuxford (rtd) read the sonnet High Flight by Pilot Officer John Gillespie Magee jnr, an American airman who died in December 1941 after a mid-air collision over Lincolnshire when he was flying as a member of the Royal Canadian Air Force. High Flight begins Oh! I have slipped the surly bonds of Earth. 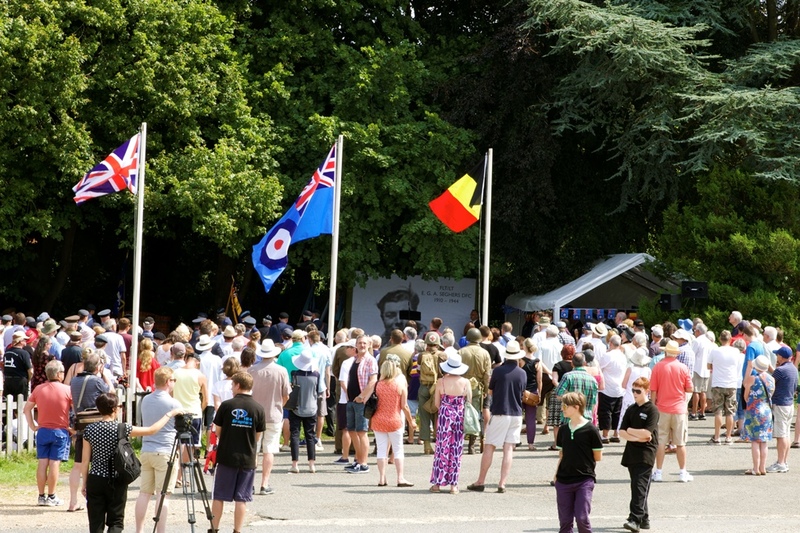 Following the collection of Standards, the two minutes’ silence began at 2.20pm. After the Reveille and flypast by the Red Devils, wreaths were placed at the memorial. 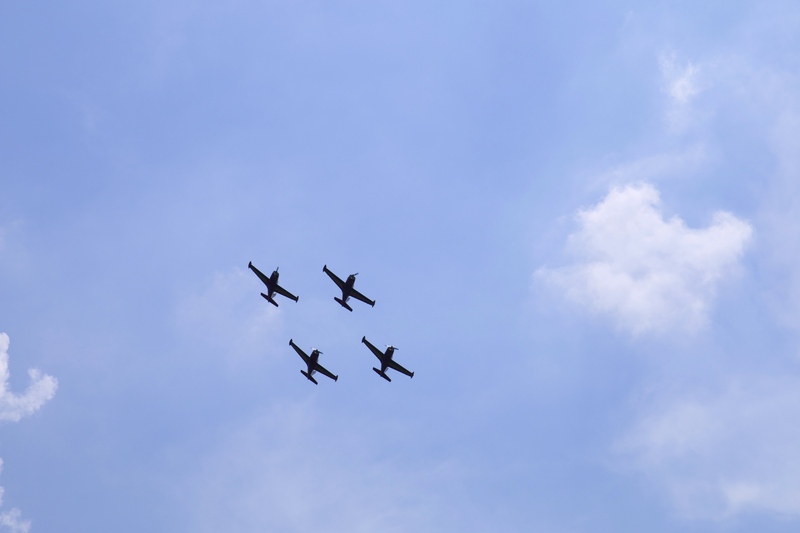 The Nightingale Trio performed Elegy on the RAF March Past specially arranged for the event by the composer, Wing Commander Barrie Hingley, former director of music, RAF. After the closing speeches and prayers, the Standards departed as Uckfield Concert Brass plays The RAF March Past. The restaurant area of the Highlands Inn staged an exhibition put together by Adrian Kirby. 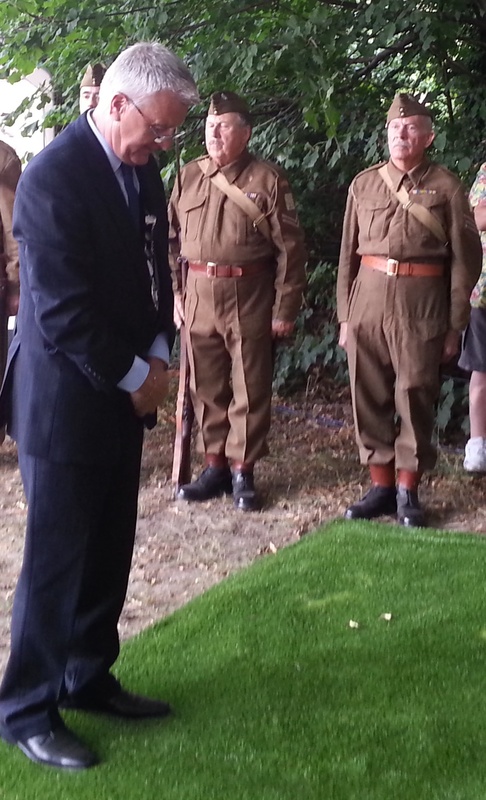 Mr Bennett, speaking to UckfieldNews,com, thanked everyone who had contributed to the memorial project. Materials and labour was given a little or no cost while others in the community have supported the staging of the event. 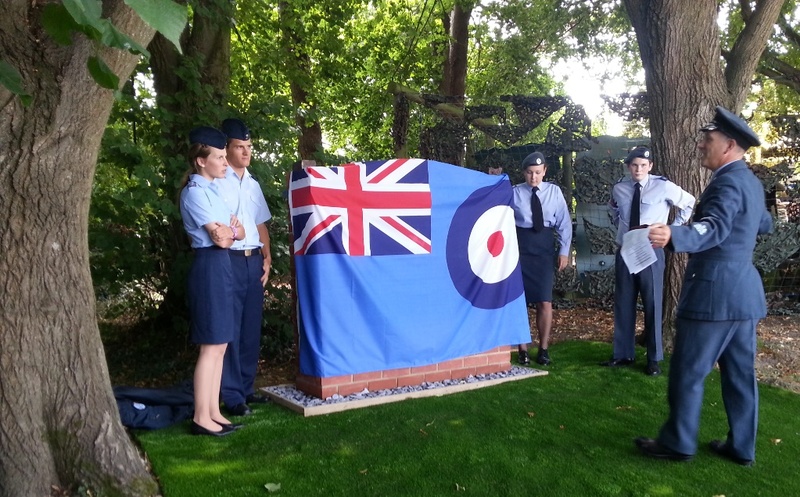 Members of the public subscribed to a fund to help pay for the memorial. He said: “It is amazing what has been achieved in little more than a year with the help and support from so many wonderful people in our community. It would not have happened without them. 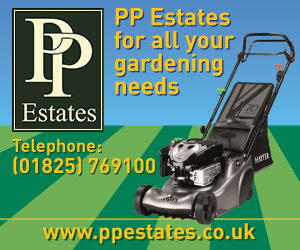 UckfieldNews.com has devoted considerable coverage in the past year to support and publicise Mr Bennett’s campaign. 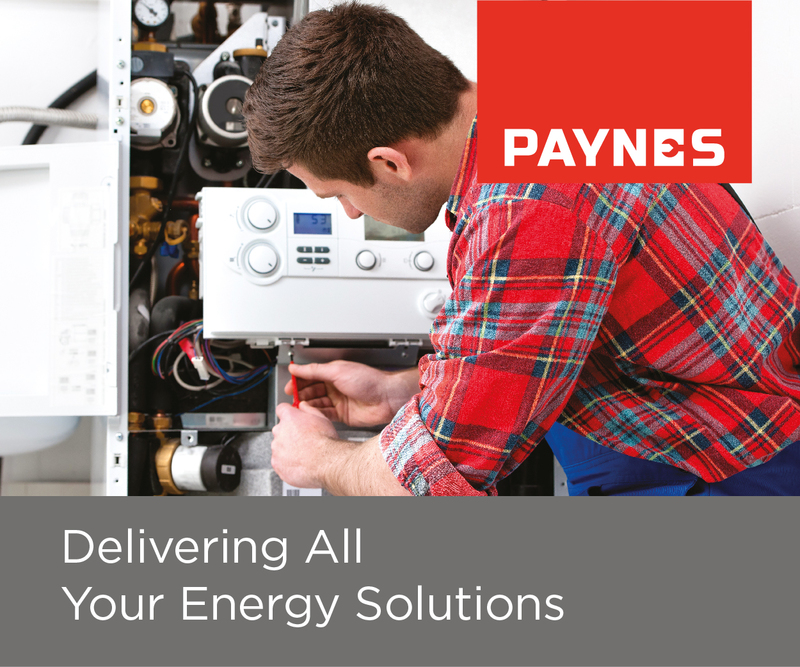 One of our stories led directly to a generous offer to help from Parker Building Supplies. We have earlier reported on eye-witness accounts of the incident. Another record from the same website by S. Hookey recalled: “One incident that happened in 1944, however, did bring the realisation that war was not a game. I had seen ‘dog fights’ in the sky many times but this incident was special. 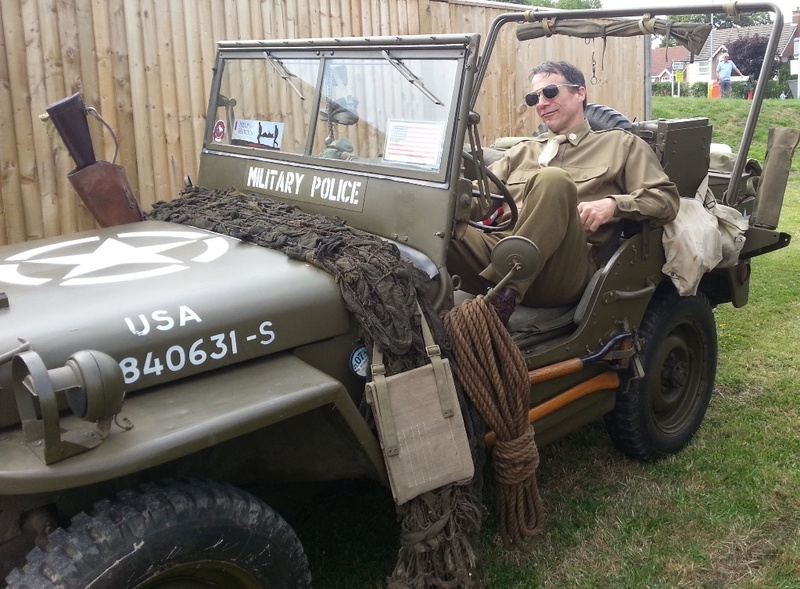 “Right above the town, I watched an Allied fighter aircraft attacking a Doodlebug. He emptied his guns without success and then tried to turn the flying bomb by touching its wing, a fairly common practice. “Unfortunately, as he approached the thing exploded. A huge fireball in the sky, then nothing. “Together with my Auntie and my sister we went in search of the wreckage. The debris had fallen across a wide area but mainly in a wooded area just at the top of Harcourt Road, called the Highfields. 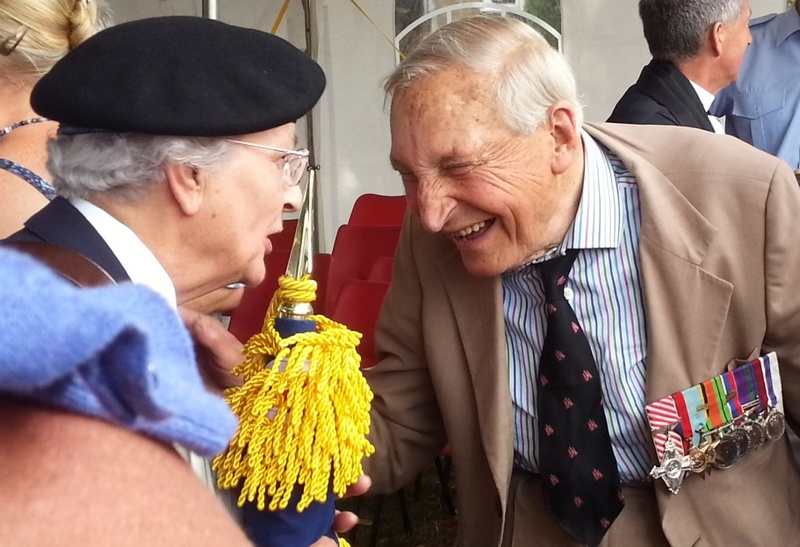 In an article published in September 2010, UckfieldNews.com reported on the wartime memories of Peter Packham. He recalled a Doodlebug crashing at Ridgewood. At the time Mr Packham was visiting Horsted Place with a party of Scouts. “I heard a fighter rattling behind it (the V1). They reckoned the pilot crashed into it to bring it down. 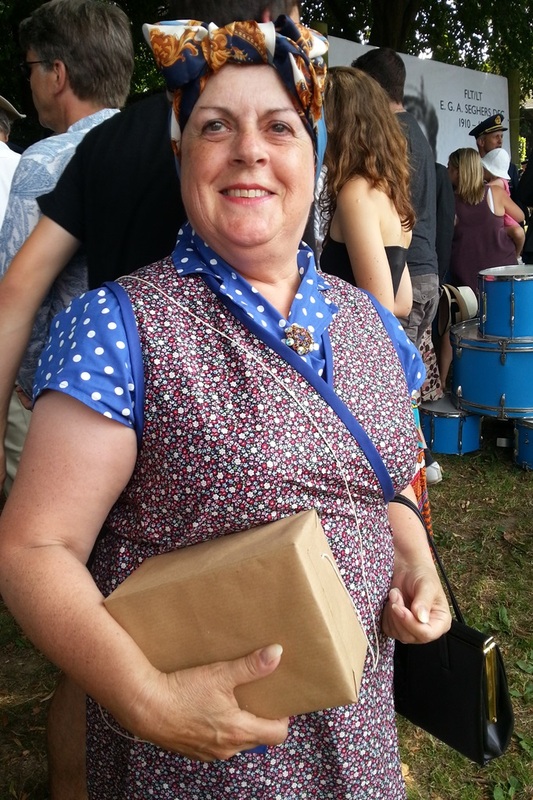 The engine was cutting out and it was coming towards Uckfield,” he said. 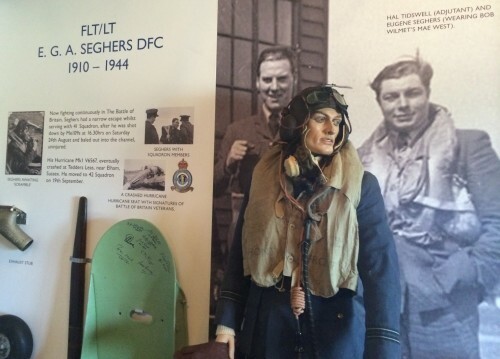 Look in our archive for our earlier reports and to read the story of Flt Lt Eugene Seghers. Go to this story here and see the further links at the bottom. Below is a gallery of photographs. Click on a photograph to enlarge and scroll through. Beneath the gallery is a video. A photograph of Eugene Seghers was used a backdrop to the event.